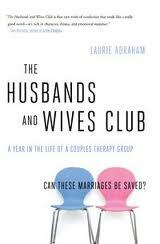 The Husbands and Wives Club is a strikingly intimate, thoughtful snapshot of a year in the life of American marriage. 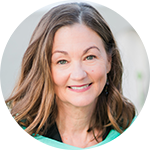 Laurie Abraham, a senior Elle editor who has written widely about relationships, got to do something I’d love to do; for a year she sat in on the therapy sessions of five couples. Think what you could learn. And she told us so well in a New York Times Magazine cover story focusing on one of the couples, it drew so much response Abraham wrote a full-length book that covers all five. In this great nonfiction book that reads like a novel, the author weaves the couples’ stories with research, theories, and statistics. The resulting book is both a riveting drama and a helpful guide as Abraham explores her central question: “How does marriage work to tear people down… and if a therapist can lift spouses out of the muck of their own making, how does it work?” This is a unique look into how to find success in relationships.